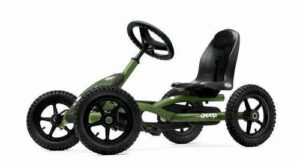 There’s now also a real Jeep® go-kart for the youngest adventurers! 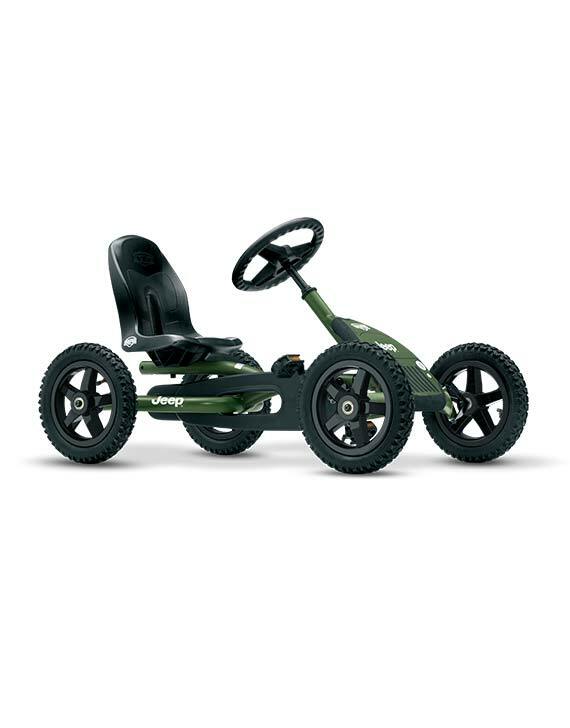 This go-kart can tackle any surface thanks to its tough all-terrain tyres. 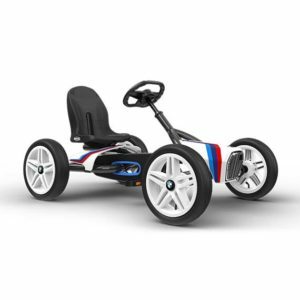 The seat and steering are adjustable, for years of playtime pleasure. 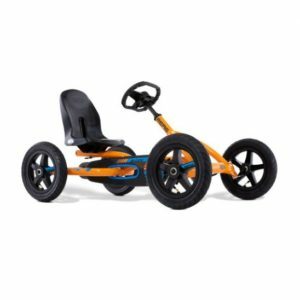 This go-kart also has a unique BFR system, letting you brake with the pedals, and when you have come to a halt, you can immediately pedal backwards!